Review of William Baker's "Of Gods and Games"
There is only one rule when reviewing sport history books in a forum that is not focused primarily on sports: you must use a sports metaphor or allusion at some point. Allow me to check that box right off the bat (and no, that last phrase doesn't count): William J. Baker's Of Gods And Games: Religious Faith and Modern Sports (University of Georgia Press, 2017) is kind of like an end-of-the-season sports highlight show. 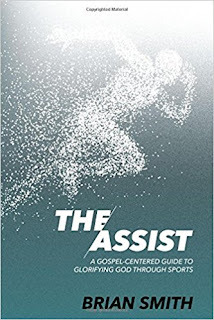 Clocking in at about seventy-five pages, it provides a primer on a few of the key themes that scholars of sports and religion have explored, while at the same time offering a couple intriguing hints at what might be on the horizon next season. There. The painful part is done. No more forced sports comparisons, I promise. For historians doing the sport and religion thing, Baker is impossible to ignore. His 2007 book Playing With God: Religion and Modern Sport (Harvard University Press) stands as the single best volume on the history of sport and religion in the United States. It stands out in part because of Baker's historical methodology and narrative presentation, a marked contrast from much of the published scholarship on religion and sports that focuses on questions like "Is sport a religion?" or (when written by Christian insiders, as it often is) "Does sport corrupt 'true' or 'good' Christian theology?" Those questions are valuable to ask, but they have tended to isolate work at the intersection of sports and religion from broader conversations in the field of U.S. history. This problem is especially pronounced when it comes to Christianity and sports. The book on that subject most recognizable to U.S. historians is probably Clifford Putney's Muscular Christianity: Manhood and Sports in Protestant America, 1880-1920 (Harvard University Press, 2001) -- a book that features exactly one chapter on sports. Scholars of American Jewish history, on the other hand, have been much more attentive to sport, with prominent examples including Peter Levine's Ellis Island to Ebbets Field: Sport and the American Jewish Experience (Oxford University Press, 1992), Steven A. Riess, ed., Sports and the American Jew (Syracuse University Press, 1998), Jeffrey S. Gurock's Judaism’s Encounter with American Sports (Indiana University Press, 2005), and Rebecca T. Alpert's Out of Left Field: Jews and Black Baseball (Oxford University Press, 2011). All that to say: when William Baker writes something about sports and religion, I'm going to read it. Because Of Gods and Games is based on talks Baker gave as part of Stetson University's George H. Shriver Lecture Series, it is not intended to explore the subject in great detail. 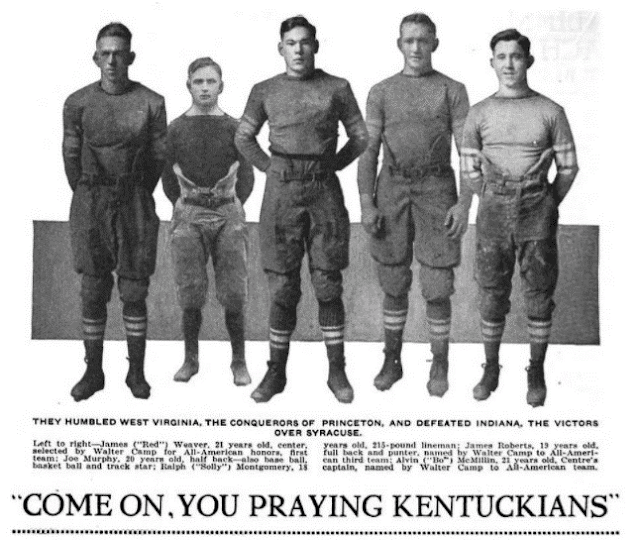 And although the subtitle says that it examines "religious faith and modern sports," Baker's focus is almost exclusively on Christians in the United States. Still, Baker offers intriguing analysis throughout the book's three chapters. The first chapter brings together two athletes known at least in part because of their chastity: Tim Tebow and Shelly Pennefather. The latter was a star basketball player at Villanova in the 1980s who played professional basketball in Japan before retiring early to become a cloistered Poor Clare nun. The former was Tim Tebow. The second chapter places coaches under the spotlight, with Bill McCartney, Dean Smith, Steve Spurrier, and John Wooden (among others) getting Baker's attention. Baker's description of Wooden is a bit off the mark; he claims that none of Wooden's biographers make much of Wooden's faith. But the best account of Wooden -- John Matthew Smith's The Sons of Westwood: John Wooden, UCLA, and the Dynasty That Changed College Basketball -- certainly does not ignore it. 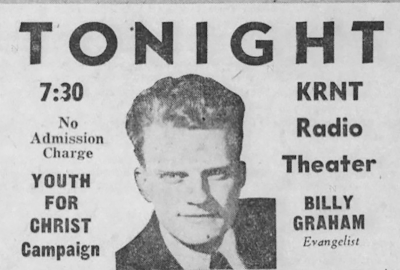 And Christian publishers have put out numerous hagiographies that use Wooden as a guide to practical success while emphasizing the Christian roots of his life philosophy. The final chapter is, to my mind, the most interesting. Baker takes up the topic of sports media, looking at Grantland Rice, Arch Ward, Watson Spoelstra, and other prominent sports journalists. From my own research on the origins of the Fellowship of Christian Athletes, I know the crucial role that sports journalists played in getting the organization off the ground. Baker's chapter suggests that much more work could and should be done on religion and sports media. Because Of Gods and Games is intended to be limited in scope, its appeal derives largely from Baker's importance as a scholar and from the suggestive hints for further topics of study. Non-specialists would likely enjoy reading it as well, thanks to its accessible style. 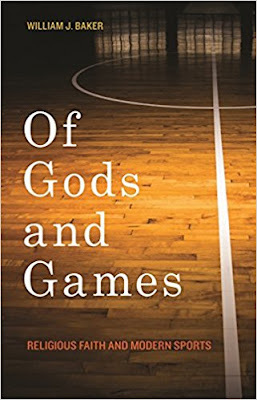 For those interested in more robust historical work on the intersection of religion and sports in the United States, Baker's 2007 book Playing With God is the best place to start (but keep an eye out for Art Remillard's current project).